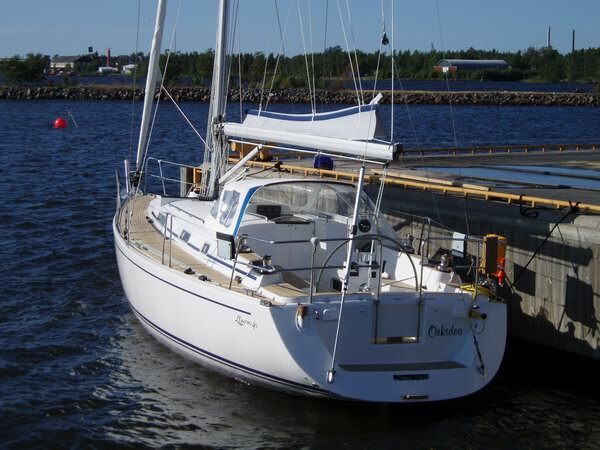 s/y Orkidea is the name of newest Maestro 40-008. Boat was launched at yard home harbor Kokkola, Finland. 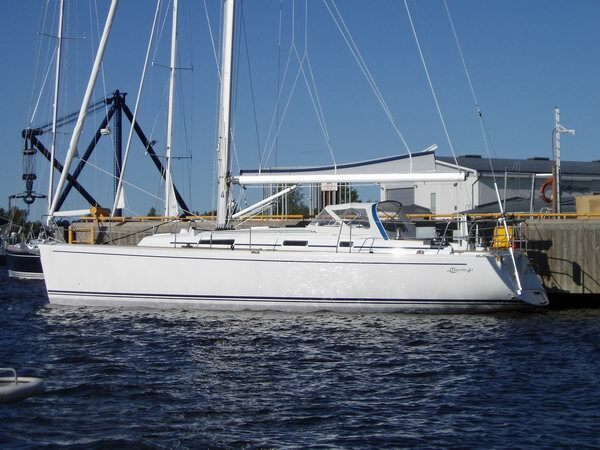 After launching yard representative and owner made over 100 nm test sailing at Gulf of Bothnia. At Finnish archipelago depth has great deal to do. Our client wished from Maestro Design Team an solution where depth could be lowered without reducing sailing capabilities. 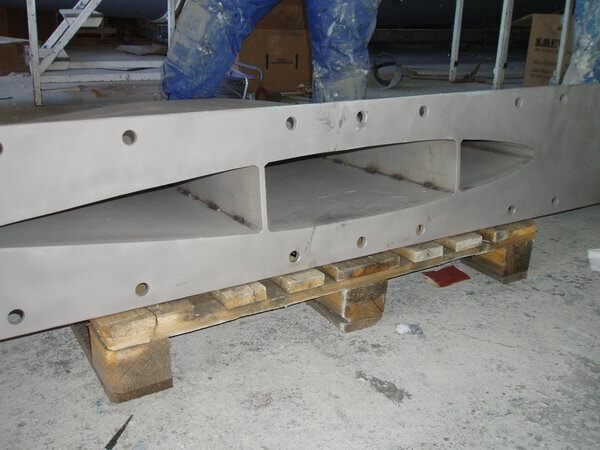 Solution was to design totally new 2,05 m keel with new construction method (standard is cast iron). 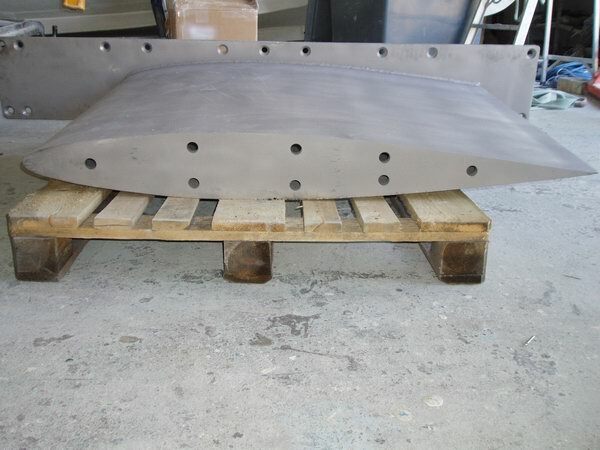 Maestro Design Team designed a keel blade that is made from Stainless Steel by welding. When blade is now totally empty, it was possible to add an extra 500 kg to bulb. By these changes VPP calculations show almost same results as with 2,20 m draft keel. Extra advantage is that by welding and gnaw machine work blade can be made with much more precisely that by casting. 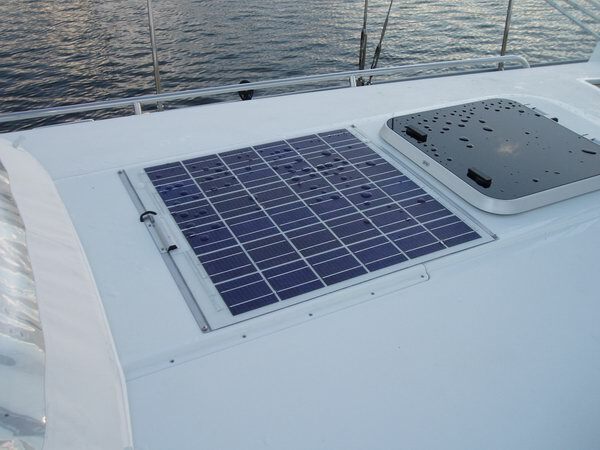 To s/y Orchidea is installed 52W solar panel with advanced regulator. This combination gives at normal sunny day enough power to run navigation instruments, fridge and some other small consuming devices without using power from batteries. Solar panel is installed middle of cabin roof front of sprayhood. Solar panel is totally waterproof, maintenance free. Best thing is that you can walk freely above panel. Maestro Boats is participating Helsinki International Floating Show with s/y Orkidea. Show takes place at HSK, Lauttasaari. Maestro is located at break water dock. Show is open Thursday to Friday 12 - 20 and Saturday and Sunday 10 - 18.